How we heat our home isn’t just about comfort, cost efficiency, or conserving energy. There are many elements to our home heating systems that have to work in concert with one another. If one part of your heating system isn’t running optimally or on the same level as everything else, you can wind up with major problems. Carbon monoxide poisoning is one such issue. What is carbon monoxide and why do I need to worry about it? Carbon monoxide (CO) is a colorless, odorless poison that takes only a few minutes to affect people, even at low levels. In more moderate amounts, carbon monoxide can cause significant, permanent neurological dysfunctions, and even result in death at higher levels. According to the CDC, there were a total of 2,244 deaths as a result of unintentional carbon monoxide poisoning between 2010 and 2015. In 2015 alone, there were 393 deaths. Overall, fatalities seemed to be occurring mostly in the winter months of December, January, and February. Prolonged exposure to CO over time can lead to unconsciousness, brain damage, and death. What does my heating system have to do with carbon monoxide poisoning? As today’s homeowners demand more from their homes in terms of energy conserving measures, houses have become more airtight. There’s less fresh air traveling into homes and the number of pathways for stale or polluted air to exit the home have gone down as well. This can actually lead to furnaces and boilers becoming starved for oxygen (they need it to burn fuel efficiently), which in turn causes them to produce carbon monoxide. It’s possible for newer houses with powered exhaust fans in either the kitchen and/or bathroom to overpower the draft in a furnace chimney and actually pull the toxic gases out into the living space. 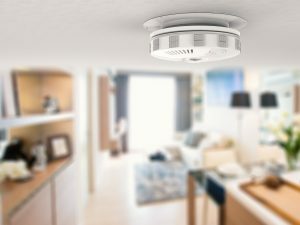 Paired with other, older problems, such as buildup in chimney flues or other debris that have collected, carbon monoxide poisoning has understandably increased over the last several years. Heating appliance manufacturers have started to focus on greater efficiency to reduce costs, but these modern furnaces, when vented into existing chimney flues, tend to perform less than optimally. The stark difference in performance has the side effect of increasing the chances of toxic gases entering the home. There are a number of things you can do to be more mindful about the threat posed by CO poisoning. Installing a carbon monoxide detector is a good place to start. You can also have your heating system, water heater, or other gas/oil/coal burning appliance serviced yearly. This will give you the chance to find out if your appliances are running efficiently or if there’s an issue with your chimney flue/venting system. A well-tuned furnace and boiler operate flawlessly, resulting in a warm and comfortable home. A furnace or boiler that is old, or that is paired with a poorly maintained chimney flue can lead to carbon monoxide poisoning. Make sure your heating system has been inspected by a trained technician to minimize the presence of CO in your home. Professional staff that always makes you feel like you are their only customer. — Tom M.